For convenient, affordable Texas pest control license renewal online, trust the experts at Pest Control Courses. We offer a variety of continuing education options that are state-approved for a variety of Texas pesticide applicators. Commercial and noncommercial agricultural applicators seeking Texas pest control license renewal are required to earn five continuing education credits each year. We designed our 5 CEU Online Course at Pest Control Courses® specifically for Texas commercial and noncommercial agricultural applicators. One of the five credits covers laws and regulations and one credit is for integrated pest management. These two CEU categories are addressed in the lessons “Texas Laws and Regulations” and “Nonchemical Pest Control Techniques” found within our 5 CEU Online Course. The other three credits found within our 5 CEU Online Course cover “Pesticide Safety”, “Pesticide Formulations” and “Emergencies, Spills and Misapplications”. Please note that Texas agricultural commercial and noncommercial applicators may only do their continuing education training online on an every other year basis (once every 2 years). Although Texas pest control license renewal laws forbid structural applicators from earning their recertification online, the same does not apply to structural technicians. Technicians can earn their Texas pest control license renewal by completing eight hours of training within one calendar year. Pest Control Courses’ 8 CEU course satisfies the requirements for structural technician recertification for just $120. Although Texas pest control license recertification varies by type of applicator, Pest Control Courses offers a variety of options. And with easy registration, a money back guarantee and instant certification, it’s never been easier to earn recertification. 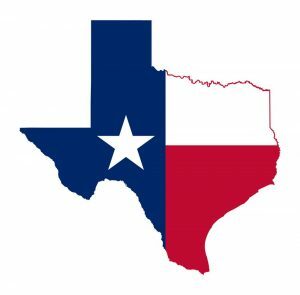 Contact Pest Control Courses today to see how we can help you on your way to Texas pest control license renewal.